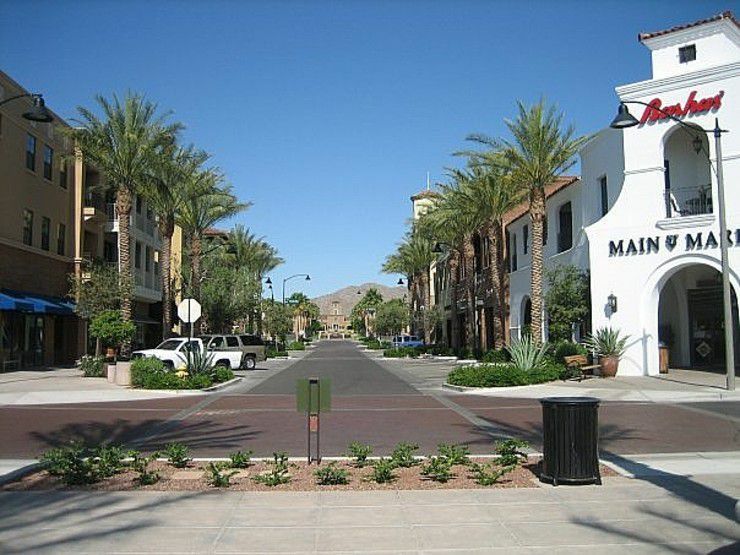 Buckeye is a city in the West Valley, in the southwest part of the Greater Phoenix area. It's about as far west as you can go in Maricopa County. It has experienced tremendous growth in recent years, in conjunction with the development of attractive master-planned communities like Verrado at the base of the White Tank Mountains. The following chart represents the distance from Buckeye, Arizona to the indicated city, and the time it takes to drive there. The purpose of this chart is to give an estimation, not an exact time or distance. We picked one point in each location in order to map it. Typically, we chose the City Hall, Chamber of Commerce, airport or some other official central place. You may be starting or ending at some other point, so please keep that in mind. Likewise, as far as the times from one point to another are concerned, people drive differently, during different times of the day and week, and road conditions and restrictions happen. Speed limits vary from 55 mph to 75 mph on highways here. The times are just estimates. You'll find that the online mapping services that we used to create these numbers often indicate that you'll get there in roughly 'a mile per minute'. We don't usually find that to be true. If we're driving a combination of highways and city streets, we usually leave an hour for every 50 miles, and longer if it is a major event where we expect traffic or parking problems.